Is the luxury home market on a roll or did it just take a dive? The answer depends on which part of the market — and whose numbers — you’re looking at. 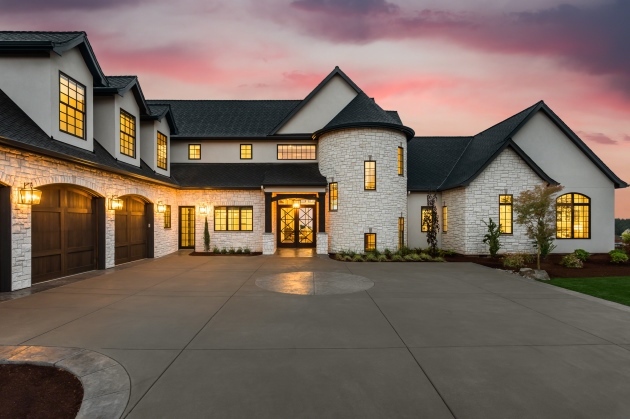 Taking a step back to view the bigger picture, what really stands out is that the luxury home market is undergoing a change as home prices soar and tastes change. That could benefit designers. Last month, real estate website Redfin caused a stir when it released its analysis of luxury home sales in the second quarter of this year. Some market followers glommed onto the article’s headline, which stated that sales had slowed in the spring compared to the previous quarter (5.2 percent vs. 7.3 percent, respectively). CNBC, for example, followed up with an article entitled, "The $1 Billion Price Cut: Luxury Real Estate Gets Slashed." The $1 billion figure, states the article, is the total gross loss, based on Redfin’s data, showing "fully 12 percent of homes listed for $10 million or more saw a price drop in 2018." Other media concentrated on the upside of Redfin’s report, summarized in the article’s subhead, "Despite Cooling in Price Growth, High-End Homes Sold Faster Than Ever." Luxury real estate website Mansion Global proclaimed, "Luxury Homes in U.S. Selling at Record Pace." Many local news media ran similar stories, noting that in their corner of the world luxury home sales were quite robust. So what’s going on here? Part of the answer lies in how you define what is a luxury home. For its analysis, Redfin looks at the price of the top 5 percent of homes on sale in each of the 1,000 markets it tracks. Currently, it draws the line at $2 million or above. The CNBC article focused on the highest end of the market, homes listing at $10 million or more. It cites a couple of examples of homes priced in the hundreds of millions whose owners "slashed" their asking prices by tens of millions of dollars to lure buyers. That, of course, skews the market average downward considerably. Other sources use other figures. The National Association of Realtors employs the baseline of at least $1 million in tracking sales of luxury homes. According to its most recent monthly release, while the overall housing market declined in July, sales of these homes rose by 3.7 percent for the month, compared to a 2.7 percent rise the year before. Moreover, as the CNBC article explains toward the very end, many of the extravagant properties it surveyed were artificially inflated in order to create some buzz and draw prospective buyer attention. Sellers never really expected to reap all those nearly $1 billion dollars in gains that they supposedly "lost." Several factors help account for this dichotomy of dropping prices and the near-record pace of luxury home sales. First, due to the rapid rise of home prices in some parts of the country, the $1 million home is becoming more common. Real estate website Zillow predicts that within the next year 23 more cities in the U.S. in various metro areas will make its "$1 Million City List," defined as a municipality with a median home value of $1 million or more. In addition, Redfin notes that despite increased demand, driven by record stock market gains and high-income-friendly tax reform, inventories remain tight for those looking to buy at the lower end of the luxury market. Those homes are turning over much faster than the mega-million behemoths. Ultrarich foreign investors who tend to gravitate toward the latter have backed off a bit, as such properties are no longer the tax havens they once were. Changing tastes and attitudes toward wealth also have caused buyers, especially younger affluent buyers, to shun more ostentatious properties. Mansion Global recently reported on a growing trend it calls "undercover luxury." According to the article, "The real-estate recovery in recent years has triggered the rise of undercover luxury homes — properties with modest exteriors and opulent interiors. Owners in gentrifying urban neighborhoods, historic districts and traditional suburbs are taking a less-is-more approach to their exteriors, opting for subtlety, normalcy and privacy." These "undercover luxury" owners are maintaining the home’s original modest exterior and investing their renovation dollars in redoing the interiors. This is especially true in desirable established neighborhoods where new construction would disrupt the local community and culture. And these are the kinds of "luxury" priced homes now in demand. Bottom line: Despite what may have appeared to be a slowing in sales, the luxury market trends at present are moving in favor of designers and are likely to continue for some time.